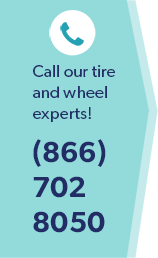 Is it time for your car to have a brake inspection or brake service near Centreville, VA? There are several factors that contribute to the decline of brake performance: weather, road conditions, the quality of your auto parts and fluids, and your driving habits. No matter the circumstances, we all have to deal with brake maintenance and keep our brakes working safely. As with all things mechanical, time and wear affect the ability of your car brakes to properly perform their critical stopping function. The question is, what brake service near Centreville, VA, does your car need and how much will it cost? Worn down brake pads, calipers, or drums require immediate brake service near Centreville, VA. This is also true if there is a problem with your rotors, your master cylinder or one of the individual wheel cylinders. On the other hand, who knows? It could be as simple as a low brake fluid level. Naturally, the cost of brake service near Centreville, VA, depends on correctly diagnosing your brake issue. Goodyear recommends you ensure safe braking function with a brake system inspection every year or 15,000 miles, or “follow the vehicle manufacturer’s recommended service interval that matches your vehicle’s operating conditions and your driving habits”. Keeping the brake components in good working order can save you money by avoiding more expensive brake repairs or brake reconstruction, which can range from several hundred to nearly a thousand dollars. Schedule an appointment for brake inspection and necessary brake service near Centreville,VA, at Wiygul Automotive Clinic – your local Goodyear Auto Service Center. In our state-of-the-art auto care facility, using advanced diagnostic equipment, our ASE-certified mechanics use the latest technologies to quickly and accurately diagnose your brake repair needs. When you need brake service near Centreville, VA, from regular maintenance to emergency repair, trust the trained brake repair experts at Wiygul Automotive Clinic.